Published: Jan. 6, 2016 at 01:07 p.m. 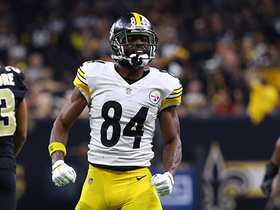 Updated: Jan. 6, 2016 at 08:34 p.m.
Let's face it: Antonio Brown is a freak. We saw it back in the 2010 AFC Divisional Round game against the Baltimore Ravens, on a catch that sparked his star-turn. 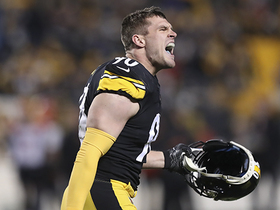 Late in the fourth quarter of a tie game, on a third-and-19 pass from Ben Roethlisberger, AB caught the ball with one hand, pinned it against his helmet and gained 58 yards. He knew that if he used two hands, he would have gone out of bounds. 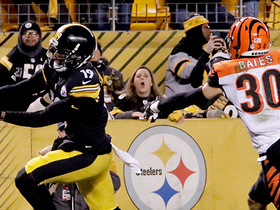 That catch, which keyed our playoff victory on that day, was the start of AB. And he certainly continues to add eye-popping plays to his highlight reel this season, whether he's punctuating a 56-yard touchdown with a flip into the end zone or wrestling the ball away from last year's Super Bowl hero Malcolm Butler. The man does it all and he has demanded everybody's attention, especially in his sixth year in the NFL. Three straight seasons now, AB has finished in the top two in the league in receptions and receiving yards. This season alone, he's eclipsed 185 receiving yards in four different games. Not many could have predicted this when the 5-foot-10 receiver entered the NFL as a sixth-round pick out of Central Michigan, but I could tell he had it in him from our first day in practice together. In my final five seasons (2010 to '14) as a cornerback in Pittsburgh, AB was my guy. He works hard at every part of his game and we battled every week, making each other better in the process. From the first to the last practice, we were together. He was hungry to get better and that's a quality you want in a young player. It's not uncommon for young guys to slack off or feel entitled, but that wasn't him. AB was always going the extra mile early in his career. AB made practices so intense, and I think some of my best years came when he was with us. Practices during the week were hard -- honestly, Sundays were easier because that was the caliber of play AB brought to the table every day. His lateral movement and quickness are the best I've seen, and that really tests opposing defenses. He's beating double- and even triple-coverages because of his movement, awareness and body control. The plays he's able to make are incredible, especially when this league is dominated in the receiving position by height (Julio Jones is 6-3, A.J. 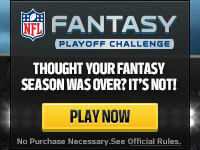 Green is 6-4 and Calvin Johnson is 6-5). 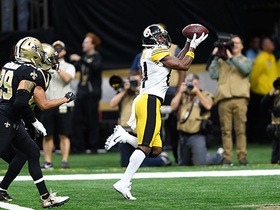 AB is proving that a sub-6-footer with a good skill set and great work ethic can become an All-Pro. I played against a lot of good receivers during my 12-year career, and the only player I'd put on the same level as AB is Steve Smith Sr., who's currently ranked 11th in all-time receiving yards (13,932). Right now, with Smith injured and nearing the end of his career, AB is hands-down the best receiver in the league. He endlessly works at improving his craft and that's why he's experiencing rare success. If he can play the next three or so years at this level, he's going to be considered one of the greatest receivers to ever play the game.